The efficient publishing of any peer reviewed article requires a standard and ethical behavior from all the parties involved viz., authors, reviewers and editorial board. 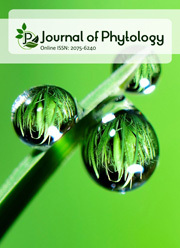 Journal of Plant Stress Physiology strongly believes and committed to maintain the standard ethical recommendations from Committee on Publication Ethics (COPE) and Code of Conduct guidelines available at www.publicationethics.org. In a published paper, the credit for authorship should be based on substantial contribution in conducting the study and preparation of the manuscript. Co-PI in a project or Co-Supervisor in a Master or PhD work are insufficient to claim authorship. The author order of article should be based on the relative contribution in the research. To make it clear, Journal of Plant Stress Physiology demands a written statement about -Authors Contribution- at the end of article before Reference Section. Authors are responsible for the content and originality of the submitted paper (See Journal of Plant Stress Physiology Policy on Plagiarism).